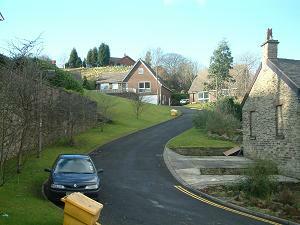 1980s detached houses perched on a hillside overlooking ‘old’ Bollington, Beeston and the Nab. Terrific views. Nearest pubs – Holly Bush, Spinner’s Arms. Restaurants in High Street.